Also serving communities of Laurens. There are 5 Assisted Living Facilities in the Clinton area, with 4 in Clinton and 1 nearby. To help you with your search, browse the 15 reviews below for assisted living facilities in Clinton. On average, consumers rate assisted living in Clinton 4.3 out of 5 stars. Better rated regions include Fountain Inn with an average rating of 4.3 out of 5 stars. Located in upstate South Carolina approximately 45 minutes south of Greenville, Clinton is a small city rich with history and wineries for tasting. There are also plenty of parks, like the Musgrove Mill State Historic Site Park for seniors who enjoy hiking and being outdoors. Seniors who need help with daily living tasks who want to retire in the area will find 14 assisted living facilities close by. Regulated by the South Carolina Board of Health and Environmental Control, these facilities provide room and board and a degree of personal care. The Clinton area is home to world-class medical facilities, including the Laurens County Memorial Hospital, in the event of a medical emergency or illness. Clinton has an array of community resources for seniors, including VisionLink, an organization that promotes the well-being of aging persons living in the area, as well as one senior center. The Piedmont Area Agency on Aging provides transportation for individuals over the age of 60 to and from doctor’s appointments, grocery stores, the bank and for other errands at discount fares. A four-day notice must be given. The cost of living in Clinton is 80.8, which is much lower than the national average of 100 and the state average of 94. Seniors living in the city may find that their budget goes further here. Crime in Clinton is ranked on a scale from one (low) to 100 (high). Property crime is 61.4, which is higher than the national average of 38.1. Violent crime is 71.6, which is also higher than the national average of 31.1. The overall crime rate should be a concern for seniors living in the area. Seniors trying to escape the cold and the snow from northern cities experience short winters in Clinton with a low of 31 and only a small chance of snow throughout the year. Summers are hot and humid with highs around 91. Assisted Living costs in Clinton start around $0 per month on average, while the nationwide average cost of assisted living is $4,000 per month, according to the latest figures from Genworth’s Cost of Care Survey. Financial help is available for seniors who qualify for the Medicaid State Plan. 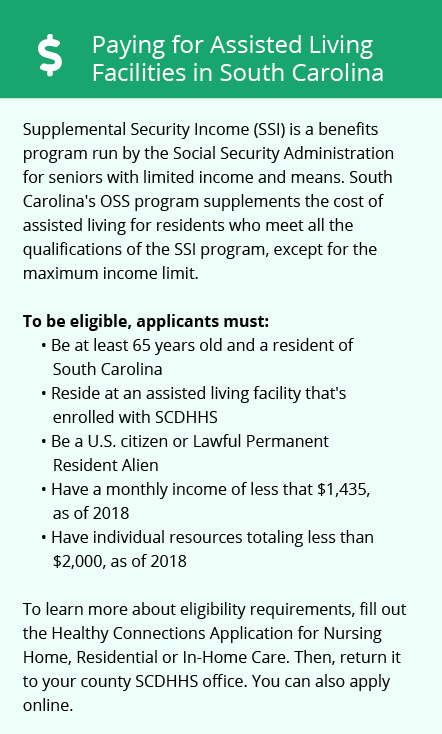 Those who are eligible must meet all Medicaid program criteria and must currently receive the Optional State Supplement (OSS) to the Federal Supplemental Security Income program (SSI). Family supplementation is not permitted. To see a list of free assisted living resources in Clinton, please visit our Assisted Living in South Carolina page. 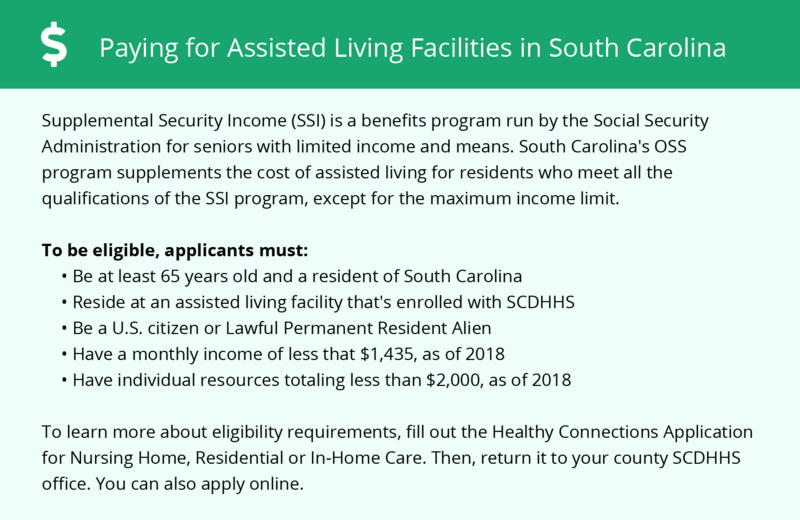 Clinton-area assisted living communities must adhere to the comprehensive set of state laws and regulations that all assisted living communities in South Carolina are required to follow. Visit our Assisted Living in South Carolina page for more information about these laws.